When you find your forever person, you just know. When you find your forever watch, you just know that too. I get I am entirely too picky. So I often get asked the question of how Lin and I met and I thought this would be the most fitting time to tell you that little love story. We will get to that here in just a bit so keep reading. With Valentine's Day approaching I am feeling a little romantic and whimsical. Our phones changed beautiful timeless fashion pieces and etiquette manners quite frankly (but that's a whole other conversation for a whole other day) and let's face it we’re all strolling around with our eyes literally glued to our screens, so having a watch has kind of become unnecessary. They have become a thing of the past and it's so sad to me. Even I, who can’t stand being late and always used to have a watch at my wrist, realized that, these past years, my arm has become way lighter. No more watch. The iPhone has become the new watch. So very sad because I have always found watches to be such a classic accessory that tell these beautiful stories of their wearer. They have this intrinsic beauty that is just timeless and can last for decades if cared for properly. I remember my grandfather had a whole watch case with twelve different time pieces. They were so unique and meant so much to him. He could tell you the stories of each one...where they came from and so on. And revisiting that whole etiquette topic...is it acceptable to whip out your iPhone during a black tie affair? What about a nice formal dinner party? Or a business meeting? At the movies? (EVERYONE is on their phone at the movies, why even pay for the ticket) How about a first date? Or the 100th date for that matter? Sticking to my 2017 resolutions, I vow to be more connected with the ones I love this year, especially my silver fox and my new JORD Wood Watch is going to really facilitate this process and I could not be more excited. They have the most amazing classic premium wood timepieces that tell amazing stories. When looking to collaborate, it was such a natural organic partnership. 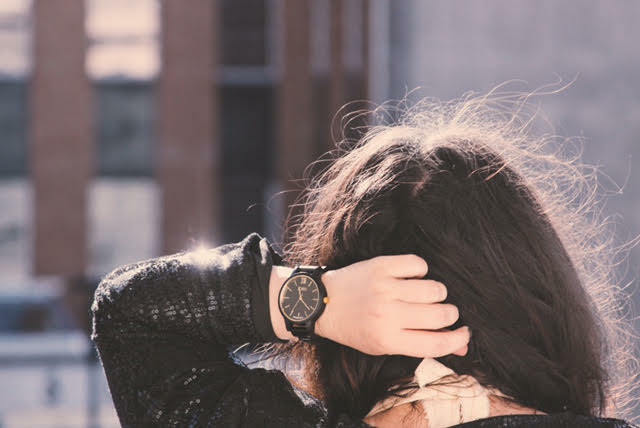 My JORD watch is the perfect piece to add to my everyday essentials. Every timepiece is modeled after a modern lifestyle. You all know I am a huge fan of statement pieces but I also do not like anything to feel heavy and awkward, especially on my wrist. And my gorgeous JORD watch is captivating and tells a story without even saying a word which I love. JORD is also run by artists, marketers, and minders who value sustainability, efficiency, and experiential living. They make their watches for people who just don't have somewhere to be, they have somewhere to go. Another perfect fit for me to partner. And lucky for you loves, there is a giveaway opportunity for you where everyone gets a little something. (Scroll to the bottom of this post if you can't wait a second longer to enter!!) Or just click here. The packaging is just as beautiful as the watch itself. Gasp! 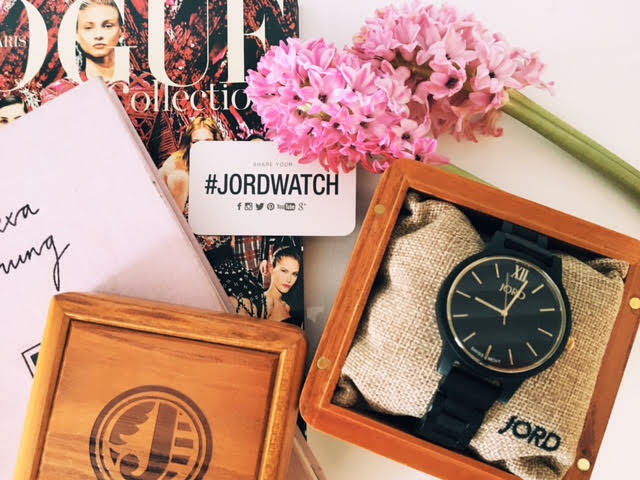 The JORD watches come in a bunch of different series so there is something for everyone. I chose to go with the "FRANKIE" in ebony and gold. It's incredibly sophisticated and I adore the streamline shaping. Black and gold will allow for everyday wear for me too. So happy with my choice. It has been a great accessory and gets quite the attention out and about. JORD has so many gorgeous women's watches but they also have men's watches too. And these would be the perfect Valentine's Day present for your mate. And what better way to start the conversation and tell a story. So Lin and I met just after Labor Day almost eight years ago in a coffee shop/boutique where I worked part time. (all though we knew of one another from various art shows and around town and he claims he had his eyes on me at this Circle Cinema event with Colin Beavan. ) Tulsa is tiny you guys. He had just retuned from a solo 7,600 mile moto adventure and was just getting back into the swing of things with his company. We became friends on face-book of course and he asked me if I wanted to go for a bike ride on the river. I had plans so I declined and then he had asked me out again but I had concert tickets with a friend. I think he was beginning to take it personally. I was sorta seeing someone new but casually and it really wasn't going to be long term and I also knew Lin was much older then me. I had some doubts in my mind but on a phone convo with a friend, she reminded me that life was short and to have an open mind. So one day he texted me around the lunch hour and asked if I had eaten and I said no....ten minutes later he showed up to my home and picked me up and whisked me away to my favorite restaurant at the time. And it was such an amazing lunch. He was so easy to talk to and nothing was forced. He was such a gentlemen. We continued talking and went on a double date with his friends and I ended staying over for the night and never left really. I stayed over every day and night and eventually moved my stuff in and the rest is history. I am so glad that I had an open mind. And really you guys..age ONLY matters if you are a wine or cheese. I am old soul having gone through my own marriage and divorce and already have a child and want no more children. ( a deal breaker for Lin who simply could not imagine having babies at this point in his life) My mom passed away when I was young forcing me to really stand up tall for my way younger siblings. I have lived through so much making me so so wise at an early age. I am getting busier with my blog and have been very attached to growing it quickly which takes hours and hours of hard work. Lin is so supportive of my job and passions but I relaize I have been putting him on the back burner. Relationships are like gardens needing TLC and nurturing and I am so invested in giving mine everything that it needs and deserves. And it begins with something so simple as being okay with leaving that iPhone in the purse during dinner. Also taking a social media detox day on Sundays and just being fully connected in the present. With all this election stuff too, a social media detox sounds amazing. My FRANKIE watch is going to be getting a lot of wear as it travels the world with me this year. For those of you just tuning in, Lin and I are moving to Barcelona with our two pups. Time is limited and nobody is promised tomorrow so we are excited to pursue one of Lin's dreams and open our arms and heart to a new adventure. Thrilled for you that JORD and I have a giveaway for you just in time for Valentine's Day. The giveaway link is now live so take full advantage. One lucky reader will receive $100 off the time piece of your choice and even if you are not the winner you will receive $25 off a watch once the contest ends. So you have nothing to lose! The contest will expire on 2/28/2017. Enter the giveaway right HERE. It only takes seconds speaking of time! And Shhh, buying one of the JORD men's series for Lin for Valentine's. Which one do you think suits him best?! Tell me in the comments! I cannot wait to show him that the time is ours and this year is ours. He has done so much for me and I am thrilled to experience all that he needs to do with him. This post is sponsored by JORD but all opionions are mine alone. This was one of my favorite collaberations of all time. Special thanks to Sam Smith for taking these lovely pics.